This weeks Mood board Monday theme is "Tropical", seeing as summer is on the way here in Australia, I was quite excited by some of these tropical finds! 1. Make your own mason jar cosies with this tutorial - a fun way to have a cold drink in summer! 3. Make your own tropical themed table runner with this tutorial. 4. Palm trees on your nails? Yes please! 7. A paper umbrella wreath - this is soooo pretty! Let me know if you decide to join in, I'll pop over for a look at your board! The paper umbrella wreath is absolutely awesome! I want one desperately! Those mason jar cozies are adorable! They'd make a great Chrissy gift. 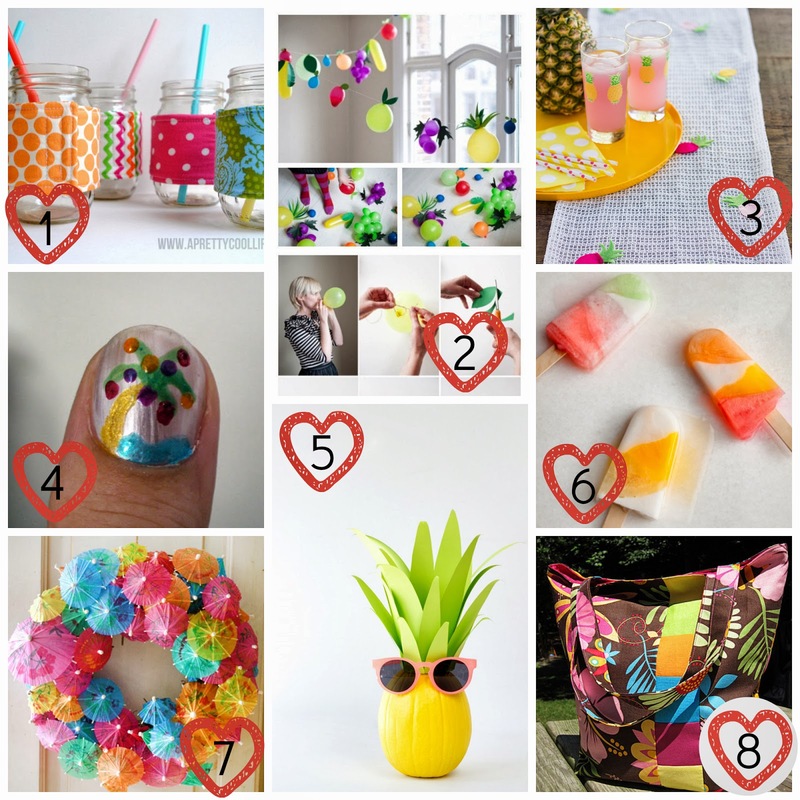 Love that fruity bunting too! I might have to host a tropical themed party so that I can make some. Thanks for playing along this week. Cheers, Lis. My 31st Birthday...a late update. September wrap up of finished projects.